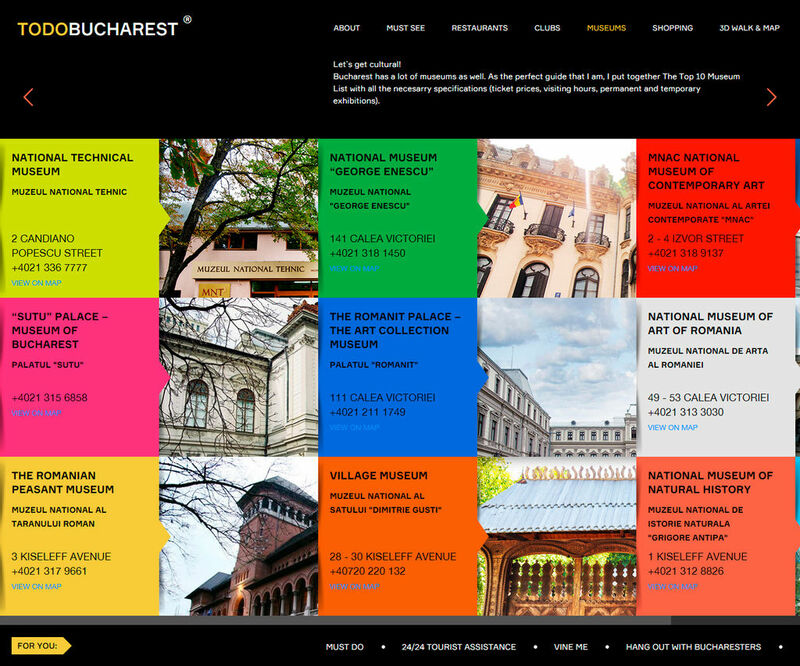 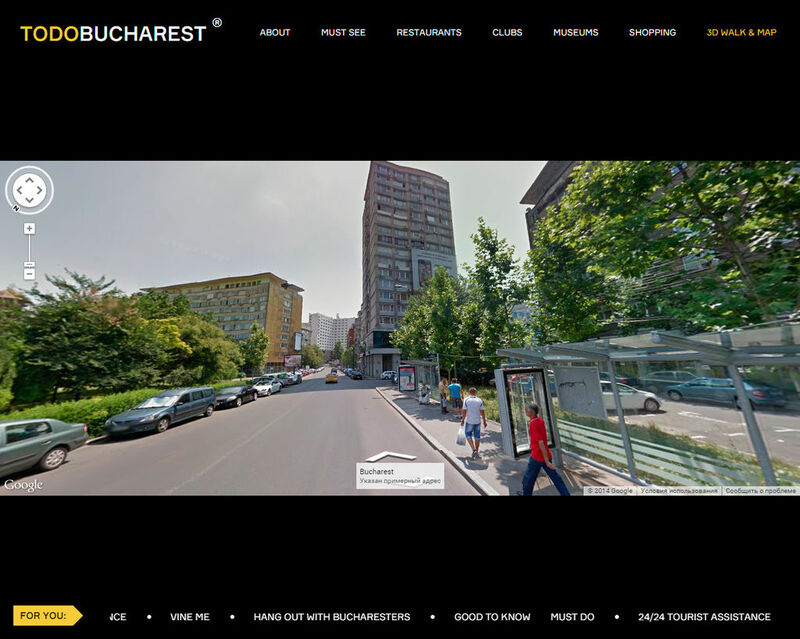 Todobucharest.com – informative website for tourists about city of Bucharest. 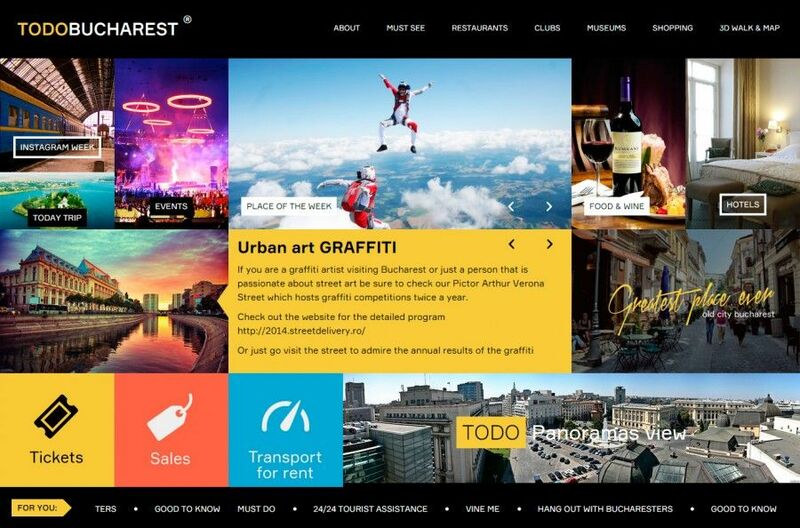 Here you can find out detailed information about most beautiful and important locations of the city, historic sites, museums, parks, hotels, restaurants, shops, clubs, etc. 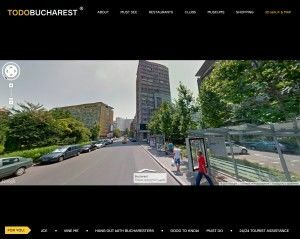 This website also contains all events of the city, such as: festivals, concerts, shows, exhibitions, presentations and many more, including date/time, location address and ticket price specifications.